The latest market data from Recolorado and Denver Metro Association of Realtors was recently released with one of the top headlines being new listings rise 9 percent to a five-year high. The number of home sales inched one percent lower compared to last year, but up 16 percent compared to last month. The number of homes that went under contract was up 10 percent compared to last year according to Recolorado and DMAR had the number at 15.64 percent in the 11-county Denver metro area, which is a good sign the market is still strong for home sellers. The average days on market was 49 days for the metro area, which is still pretty fast compared to historical data and great for home sellers. The average price for a single-family home rose 1 percent compared to last year to $464,354, according to data from Recolorado. 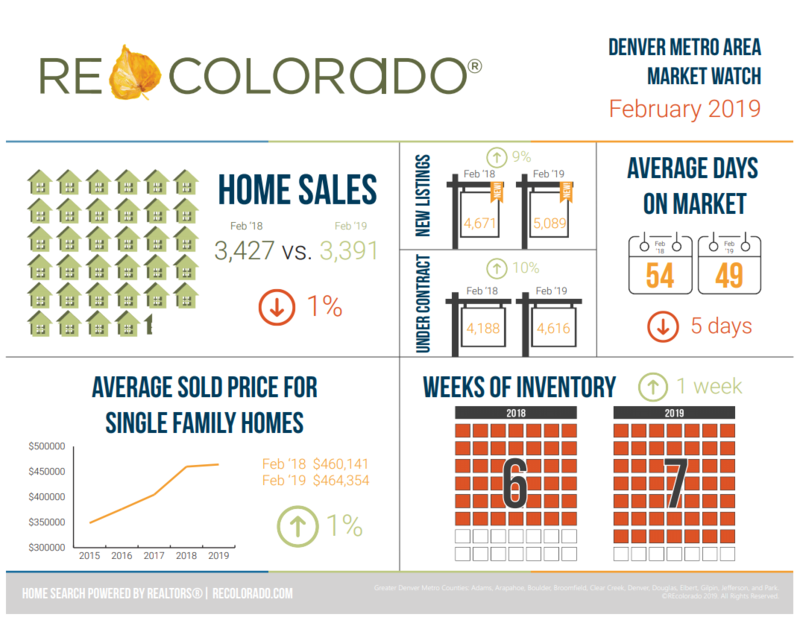 Below is a quick summary of the Denver metro area real estate market. According to Denver Metro Association of Realtors (DMAR), the number of active listings for single-family homes and condos surged over 47 percent compared to last year. The DMAR report mentioned that more homes went under contract in February than hit the market. The Denver metro area remains a seller’s market with a mere 1.92 months of single-family homes on the market. Most real estate professionals agree that over six months of home inventory is a buyer’s market and under five months is considered a seller’s market. 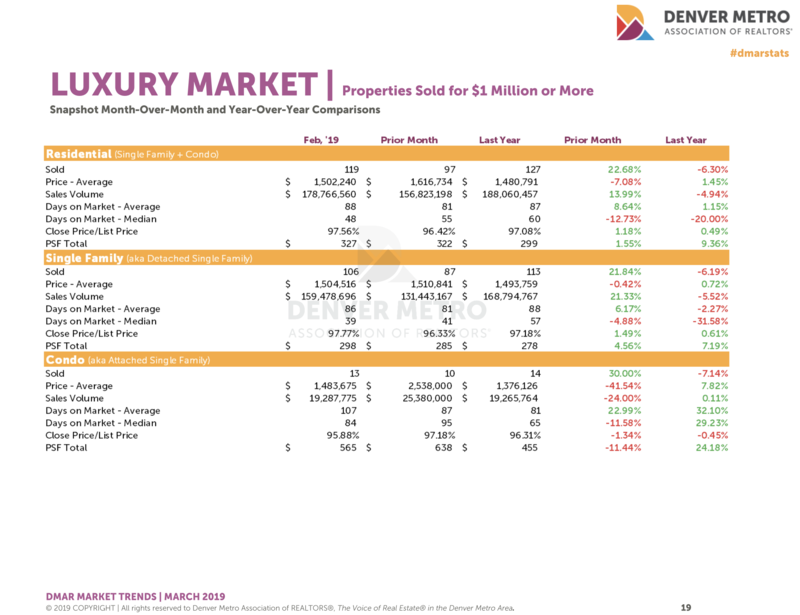 The luxury market is the one segment where single-family homes over a million dollars are at 6.58 months of luxury inventory, so the luxury market remains a buyer’s market. Another interesting fact in the report was that the luxury condo market and segment in the $750,000 to just under a million mark are also considered a buyer’s market, because of the amount of condos on the market. The luxury market in February saw 119 homes trade hands that were $1 million or more. 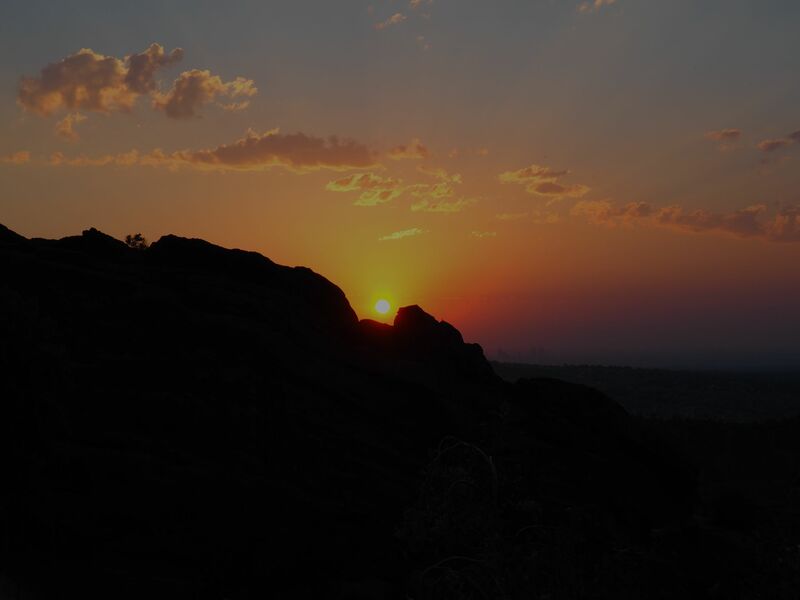 Bloomberg reported that Cherry Hills Village is the third wealthiest town in the United States. Forbes also reported that Denver is “the most competitive housing market” in the U.S. right now. Vail ranked has one of the most expensive condo markets with the median price per square foot coming in at an astounding $1,629 per square foot. The luxury market in Colorado is clearly very strong. DMAR reported that luxury home builders that do custom homes are buying “scrapes” also known as “knock downs” for $500,000 to $600,000. In neighborhoods with luxury homes, some custom builders are paying up to $800,000 just for the land. Colorado continues to be a hot spot for luxury real estate. Source: Denver Metro Association Realtors Trends Report and REcolorado.